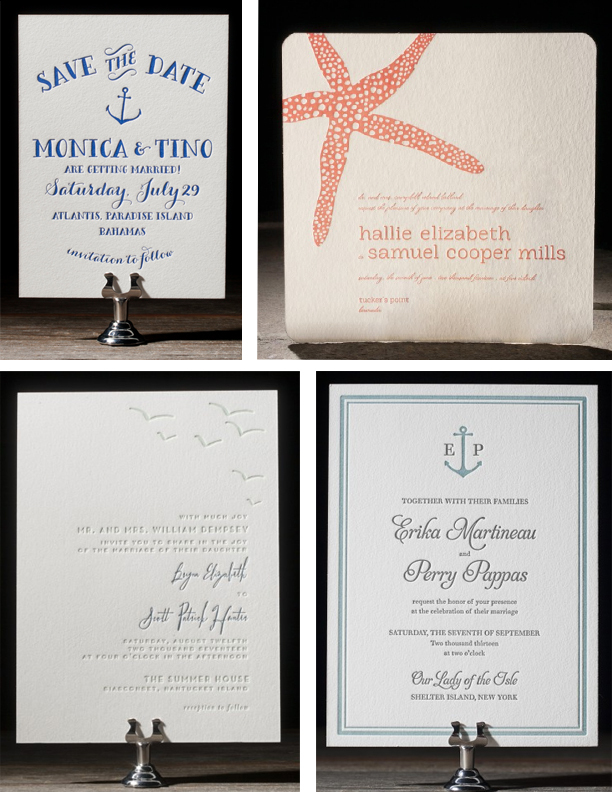 Being in San Diego, we have a lot of couples come to the shop in search of seaside and nautical themed wedding invitations. Our beautiful beaches and ocean views are host to weddings all year round. There are many ways to capture the essence of a beach or nautical wedding in custom save the dates, wedding invitations and day of stationery. Popular motifs include sand dollars, starfish, seahorses, palm trees, waves, birds and anchors. Colors are a great way to further a theme. 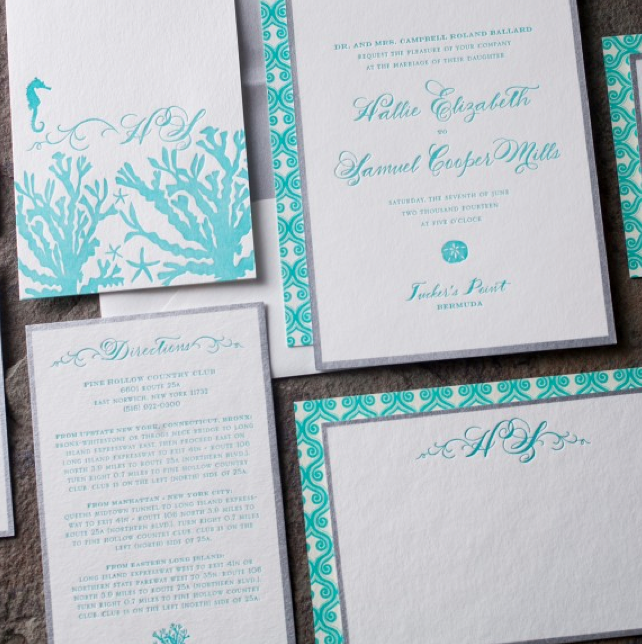 Teals and soft pastels are perfect for a casual seaside wedding, while navy and gold is classic and elegant, a common theme among formal military weddings. 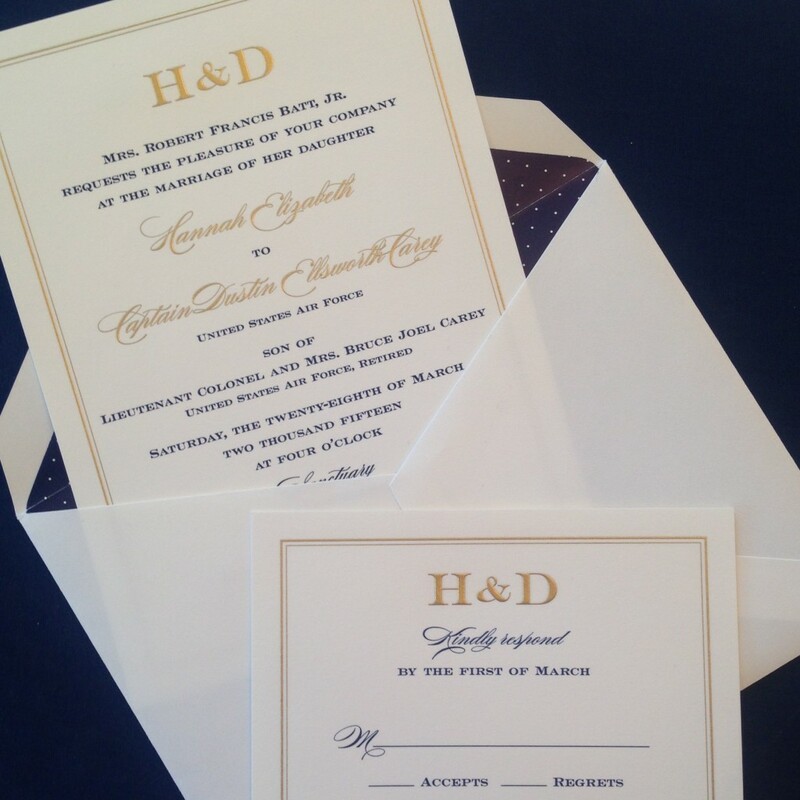 Stop by our San Diego shop or book an appointment online to start designing your own custom wedding invitations!